AGS Vietnam participated in the Saigon Children Charity Cycle Adventure to raise funds for disadvantaged children in Vietnam. AGS Vietnam Branch Manager, Kevin Hamilton and AGS Ho Chi Minh City Operations Supervisor, Nguyen Thanh Hien, participated in this year’s Saigon Children Charity Cycle Adventure, to raise funds for disadvantaged children in Vietnam. Second time participant, Kevin Hamilton, was motivated by last year’s challenge and encouraged first time participant, Nguyen Thanh Hien to also compete in this year’s event. 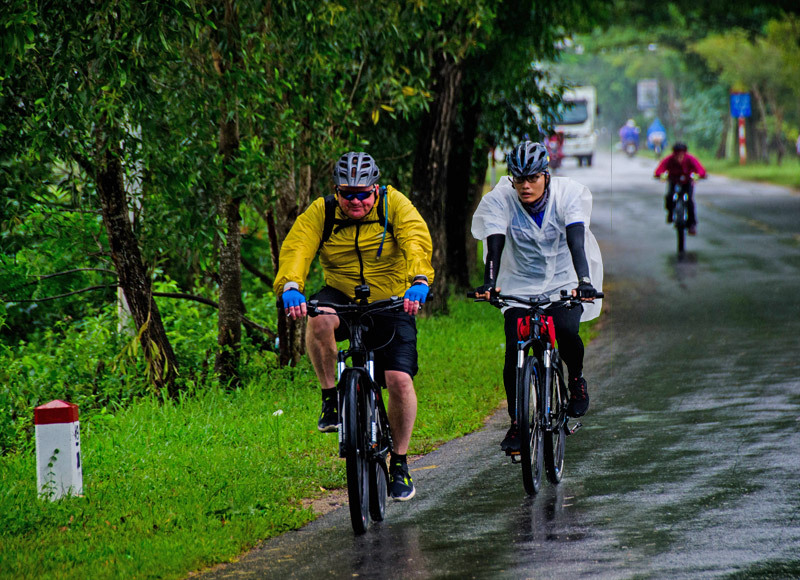 This year, the 300-kilometre circuit connected the cities of Hue and Hoi An, cycling over the magnificent Hai Vân pass (the Cloud Pass) and its 21 kilometres of mountainous roads. Each of the three days included a course of about 100 kilometres and, although Kevin and Hien were seriously prepared for the event, the race was a physical feat for all athletes. In addition to the difficult terrain, cyclists also faced epic climatic conditions with a storm and almost constant rain over the three-day course. In 2018, the Saigon Children’s Charity Cycle Adventure collected US$34 000 in donations through the justgiving.com platform (www.justgiving.com). Founded in 1992, the Saigon Children Charity (SCC) supports more than 2,000 disadvantaged Vietnamese children every year through scholarships.